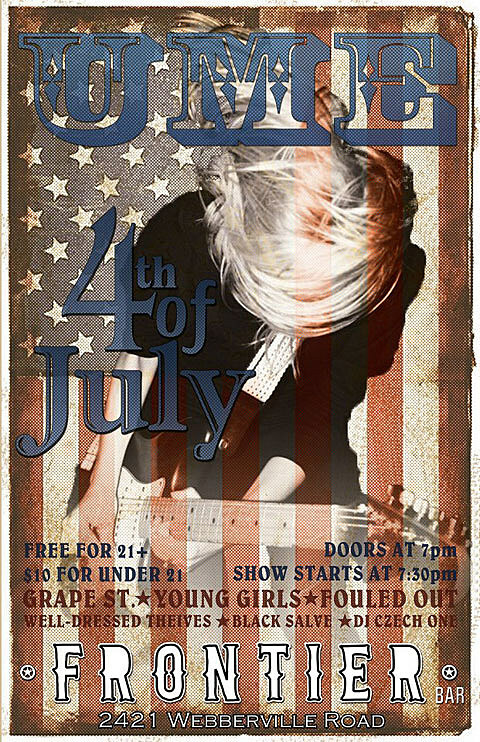 To celebrate a FREE America, this event is FREE for 21 & Up and $10 for Under 21. At 4pm sharp on the 4th we will have water rides, complimentary keg, complimentary food, and some fun sh*t for everyone!! There will be a whole day party as well we will bring back the 32 foot tall 45 long blow up water slide that everyone can’t get enough of. 4pm – The 32ft tall x 45 long blow up water slide opens! 7pm – Dj’s start spinning & FREE screen printed shirts/posters to first 50 peeps that get em!